Creativity is often needed in requirements elicitation, i.e., requirement idea generation; and techniques to enhance creativity are believed to be useful. This paper describes two controlled experiments to compare the requirements-elicitation effectiveness of three creativity enhancement techniques (CET): (1) full EPMcreate; (2) Power-Only EPMcreate, an optimization of full EPMcreate; and (3) traditional brainstorming. In each experiment, one team of university students applied one of the two or three CETs under study in the experiment to generate ideas for requirements for enhancing a high school’s public Web site. The results of the first experiment indicate that Power-Only EPMcreate is more effective, by the quantity and quality of the ideas generated, than the full EPMcreate, which is, in turn, more effective than brainstorming. The results of the second experiment confirm that Power-Only EPMcreate is more effective, by the same measures, than full EPMcreate. In each experiment, for the sake of uniform, reproducible evaluation, a requirement idea is considered high quality if it is both new and useful. 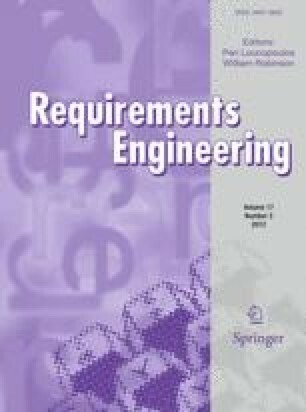 This paper is an enhancement of a similarly titled paper, “Validation of the Effectiveness of an Optimized EPMcreate as an Aid for Creative Requirements Elicitation” , by the same authors, published in Proceedings of the 15th International Working Conference on Requirements Engineering: Foundation for Software Quality (REFSQ’2010). The conference paper has been extended by a longer introduction, a replication of the experiment, and a strengthening of the conclusions. The authors thank William Berry for his advice on matters of statistical significance. Each of Victoria Sakhnini’s and Luisa Mich’s work was supported in part by a Cheriton School of Computer Science addendum to the same Canadian NSERC–Scotia Bank Industrial Research Chair that is supporting Daniel Berry. Daniel Berry’s work was supported in parts by a Canadian NSERC grant NSERC-RGPIN227055-00 and by a Canadian NSERC–Scotia Bank Industrial Research Chair NSERC-IRCPJ365473-05. Luisa Mich’s work was supported in part also by the European Union PAPYRUS Project, ICT-215874.